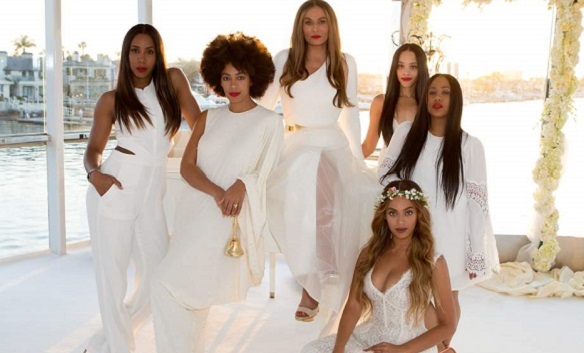 In celebration of mother’s day, Tina Knowles, who recently married in an all white themed wedding, was asked by Time Magazine to write an open letter to her two daughters, Beyoncé and Solange. She wrote a beautiful letter to Beyoncé and Solange but also included Kelly Rowland and her niece, Angie Beyince. The proud mother and aunt, gushed about the toasts each of the ladies made at her recent wedding, where the ladies all claimed she (Tina Knowles) helped them grow into the women that they are very proud of today. “When I was asked to write an open letter to you, I thought about the hundreds of texts and emails that I have sent to you on holidays and on Sundays, when I ask you to say a prayer to thank God for each other. Every day, I wake up thinking about how much I love, admire and cherish each of you.